A whole new way to connect. Can’t afford a full time receptionist? 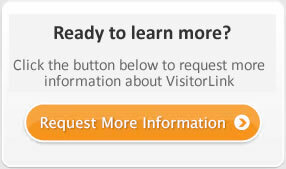 Is the person you've asked to "watch for visitors" never available? VisitorLink is the answer. Welcome, Identify and Connect your visitors to the right person in your organization for just a fraction of the cost of a receptionist.